If you purchased a home between, say, 2000 and 2007 you probably know what it means to be underwater. It is a term that is now being used to describe the condition you’re in when you owe much more on your home than it’s now worth. It has happened to thousands of American homeowners so if you are underwater, you have lots of company down there. The reasons why housing prices collapsed are complicated. It basically has to do with too many subprime mortgages, some strange investments called mortgage derivatives, hedge funds, bankruptcies and the government takeover of Freddie Mac and Fannie Mae. Suffice it to say that there was a huge bubble in housing costs and the bubble burst. What’s a short sale anyway? The simple explanation of a short sale is that it’s when a house is sold for less than the balance owed on its mortgage. For example, suppose you owed $220,000 on your mortgage but your house is now worth only $170,000. If you were to sell the house for that $170,000, this would be a short sale – you’ve sold the house for an amount that’s short of what you owed. As you might guess, you can’t do a short sale without your mortgage holder’s permission. A short sale is obviously not in its best interest. Your lender loses money on the sale – at least on paper. The reason why your bank might approve a short sale is due largely to a settlement made between America’s five largest banks, the federal government and all 50 states’ attorneys-general. This $25 billion settlement requires the lenders to provide $10.6 billion in mortgage relief, most of which will be in the approval of short sales. Plus, bankers have learned that it is sometimes in their best interests to approve a short sale rather than see the house go into foreclosure. The major benefit of a short sale is that have sold a house that’s lost much of its value and can now move on. It also allows you to avoid a lengthy foreclosure process that would have a very negative impact on your credit score. A short sale can actually be good for the lender as well because it also won’t have to go through a long foreclosure process, will get most of its money back and won’t have to take responsibility for selling the house. Of course, the biggest negative of a short sale is that not all lenders will relieve you of the responsibility for paying off the balance of the loan. If you want to do a short sale it’s important to get a solid commitment from your lender that makes it clear you won’t be responsible for paying off the difference between what you owe and for how much you sell the house. How will your credit score be affected by a short sale? FICO (formerly known as Fair Isaac Corporation) recently released a report showing that a foreclosure, short sale or deed-in-lieu would likely subtract 85-160 points from your credit score, while a bankruptcy would subtract 130-240. 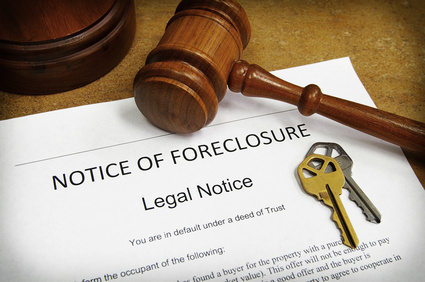 If you’re in financial trouble, the perfect storm would be to have to go through both a foreclosure and a bankruptcy. A short sale could keep you out of a foreclosure and we could keep you out of bankruptcy. Our debt relief providers offer a 100% satisfaction guarantee. If they can’t get you out of debt within a reasonable amount of time or if you are unsatisfied with any of our debt relief plans, you can just walk away without paying any fees or penalties. Call our toll-free number for more information or fill out the form you’ll find at the top of this page a free estimate.